Susan Altman has been reminding herself of these two philosophies ever since she started painting again, after a 25-year pause. And though she says they are guidelines that she taps into when she’s creating art, take one look around her Mt. Pleasant home, and it’s clear that she also calls upon them when collecting art. Actually, Susan doesn’t like to use the word “collector” when talking about her…well, art collection. Indeed, Susan’s home is colored by many different artists’ expressions. These include several works by one of Charleston’s most influential artists and Susan’s one-time instructor, William Halsey; a pastel landscape by the esteemed Wolf Kahn; a spirited still life by J. Fin, who happens to be Picasso’s nephew; paintings of Maine by various artists such as Bogomir Bogdanovic and Emil Holzhauer; sculptures, pottery, woven baskets, century-old African hats, voodoo dolls, and — more recently — her own paintings. 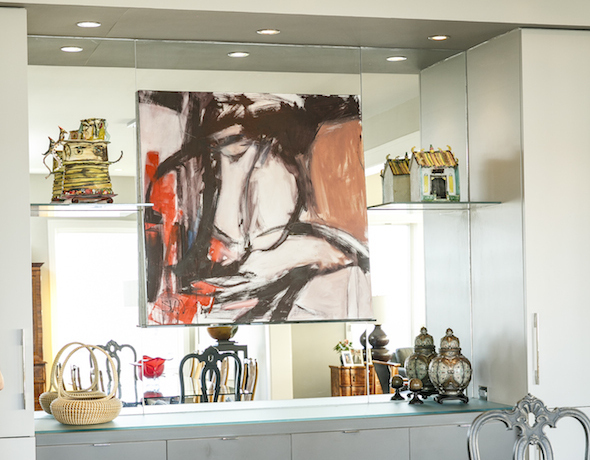 Take for example the abstract painting of a woman that hangs between the dining and living rooms. Painted in 1937 by a factory worker who supposedly never “made it” as an artist, Susan points and asks, “Isn’t it incredible that this is how the artist saw faces? 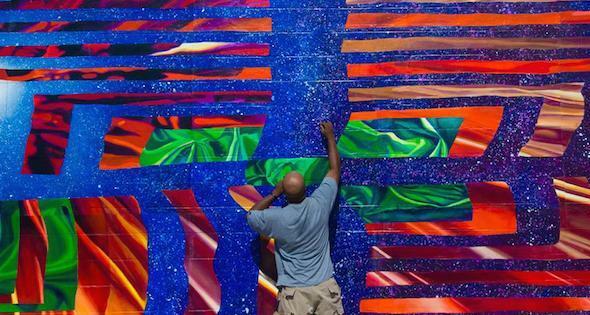 Only an artist sees like that.” Susan and her husband, Sam, happened upon the work during a recent visit to Memphis, where the couple was in town following their other passion, College of Charleston basketball. The abstract face of a woman painted in 1937 by a factory worker who supposedly never “made it” as an artist hangs between the dining and living rooms. 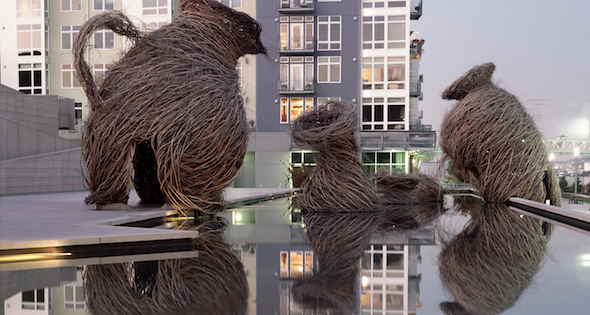 Susan and Sam started surrounding themselves with art decades ago. 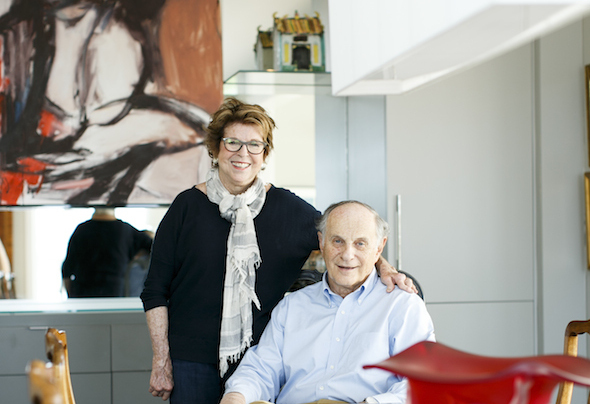 “Art books, paintings, pottery — art has always been a big part of our life,” she says. 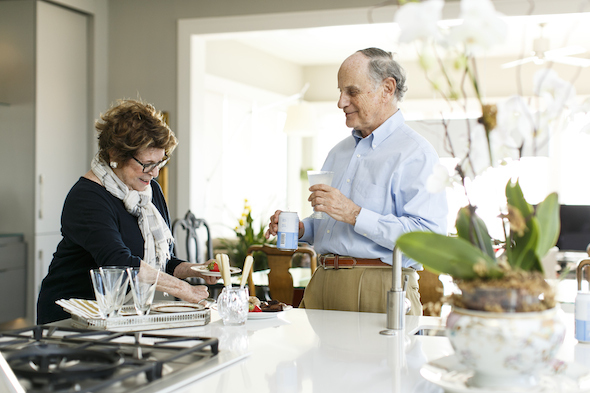 And although it was Susan’s own immersion with painting back when she was studying at the College of Charleston that likely intensified the couple’s enthusiasm for having art in the home, she gives Sam credit for discovering many of their pieces. 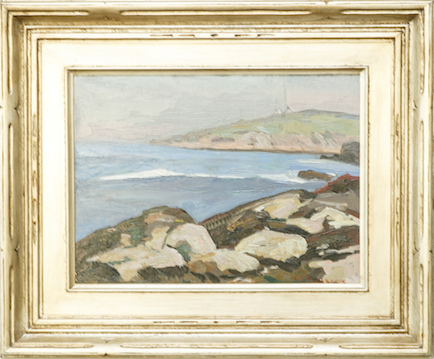 On the opposite side of the dining room are three small paintings by three different artists, unique in their style but all of one similar scene — a scene that depicts Maine’s Monhegan and Manana Islands. A sort of refuge for artists, these islands serve as a common muse. Susan and Sam purchased the paintings in Maine but, at the time, had yet to travel to the islands depicted in the works. 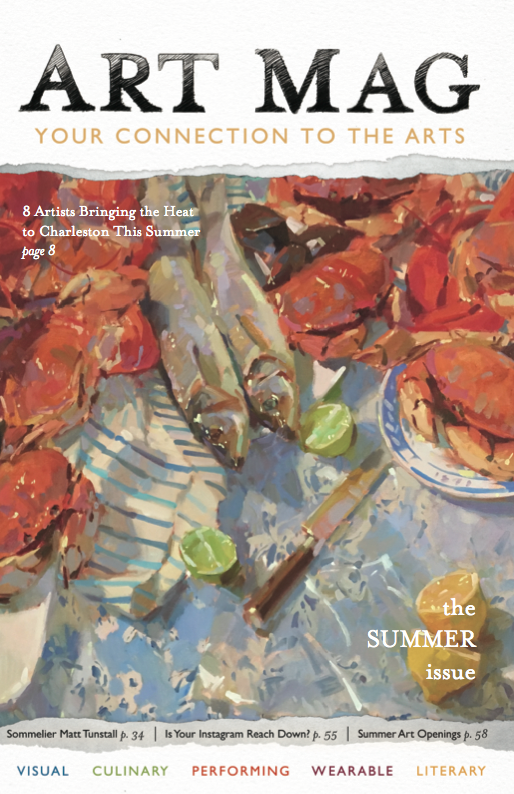 The artwork must have sounded a siren song: Today, the couple travels to Monhegan every year. When it comes to purchasing art, Susan and Sam have no methods, rituals, or rules; they simply keep their eyes open. If they fall in love with a piece, if it tells them a story, or if they can’t live without it, they bring it home. 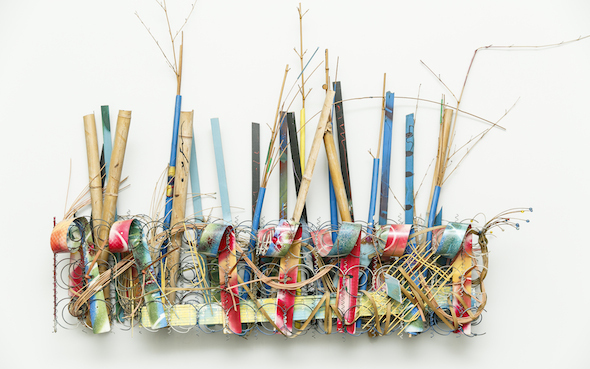 A sculpture made of bedsprings, sticks of bamboo, and Venetian blind slats splattered with paint that Susan loves just as much today as she did when she acquired it 40 years ago. When you first enter the Altmans’ home, you can’t help but notice a painting of an old, ramshackle hut that’s bright and energetic; it’s as if the painting is dancing. The artist is William Halsey. The entry of the Altmans’ home. An old, ramshackle hut hangs to the right by William Halsey. An abstract sculpture by Halsey is also prominently displayed to the right. A hero of the Southern modernist movement, Halsey is best known for his abstract expressionist style. After studying and making a name for himself in Boston — as well as a couple of years spent traveling, drawing, and painting in Mexico — Halsey returned to Charleston in 1945 and eventually helped establish the art program at the College of Charleston, where he taught and acted as artist in residence for 20 years. 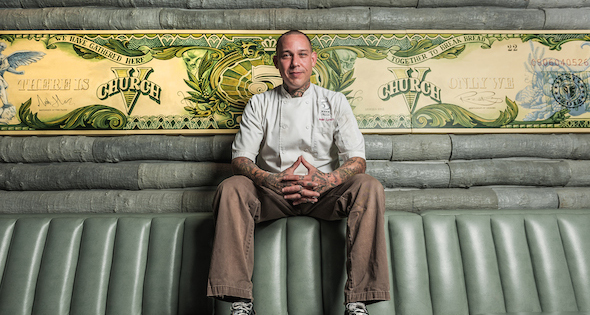 Today, the College of Charleston’s Halsey Institute of Contemporary Art is named in his honor. And it was here that Halsey became instructor and “distinct mentor” to Susan, some 40 years ago. An abstract self-portrait sculpture by William Halsey. 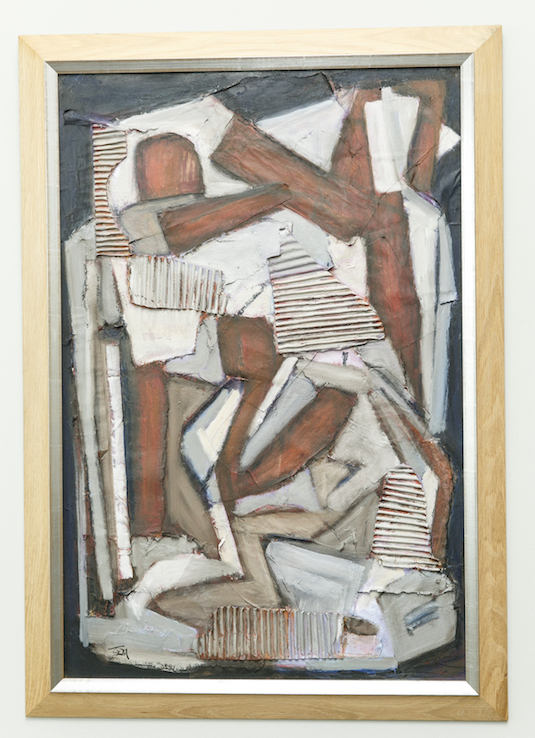 In addition to the painting in the foyer, the Altmans have an abstracted Halsey sculpture (his self-portrait) and several other works by the artist. 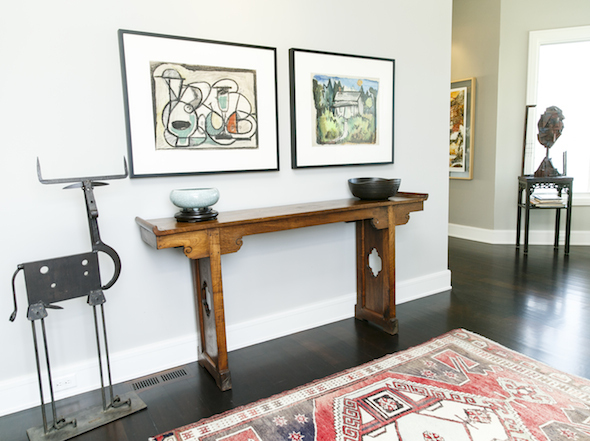 And it doesn’t stop with Halsey; they also have a monotype by his wife, Corrie McCallum, hanging on the third floor. Now Susan frequently travels to the Art Students League of New York, where she paints and practices with instructors such as abstract artist Frank O’Cain, and she has recommenced art classes at the College of Charleston, studying under Cliff Peacock and Barbara Duval. In March, a number of Susan’s abstract works were exhibited at the Meyer Vogl Gallery here in Charleston, during a group abstract show entitled Raw. 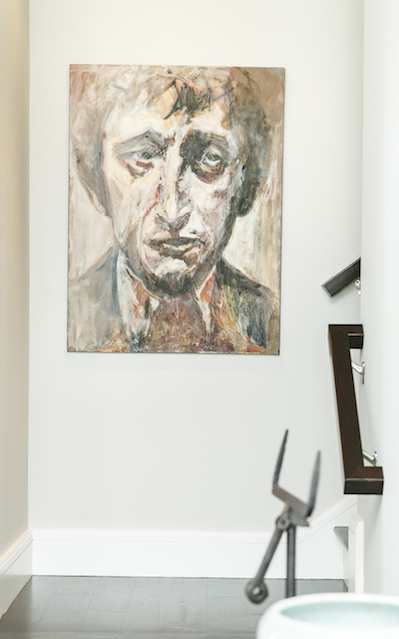 A portrait of the artist John Marin by Susan Altman hangs in the stairwell. This obsession with marks and lines is not only apparent in Susan’s work, but also in her pieces created by other artists. Sweetgrass baskets by Elizabeth Mazyck feature a hypnotizing pattern; pieces of pottery boast repeated crooked lines. “I love lines that are expected but uncontrolled,” Susan says. Crooked lines are far more interesting. Crooked lines have no rules. 1. Become an art history buff. The different ways in which artists express themselves are endless. 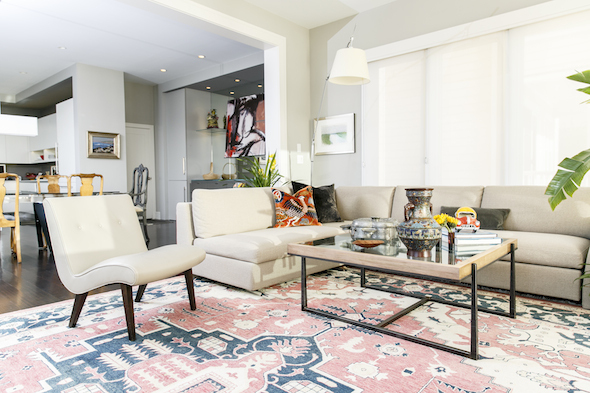 Susan suggests familiarizing yourself with art history and exposing yourself to as many art forms as possible — this will give you a background to help you determine which styles and mediums you love. 2. Collect art books. Buying art books not only helps you brush up on your art history acumen, it’s also a (budget-friendly) way to surround yourself with art. You can easily spend hours getting lost in an art book. 3. Keep your eyes open. Oftentimes, the perfect piece presents itself when you least expect it (like, for example, when you’re visiting Memphis for a College of Charleston basketball game). 4. Buy what you love. 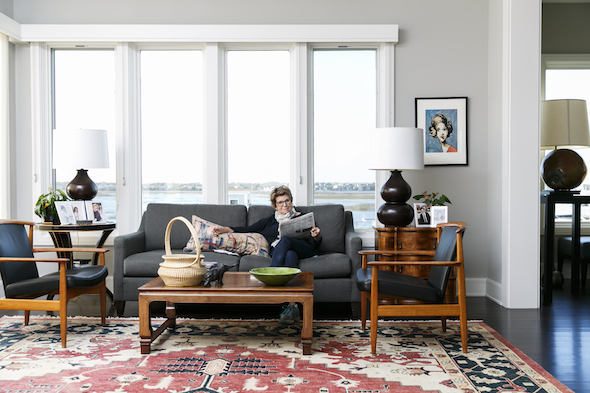 “Purchase, display, and enjoy what you love the most,” Susan says. 5. Don’t be in a hurry. 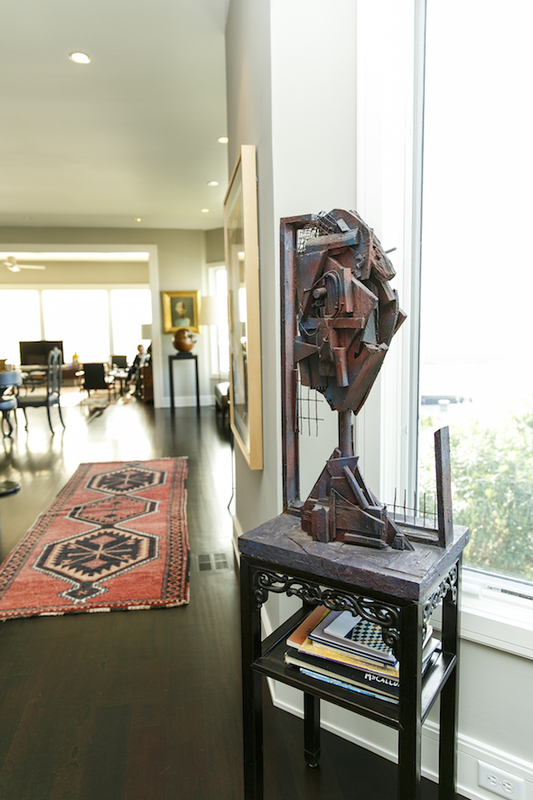 The art in the Altman’s home is a mix of new and old, collected over nearly 40 years. 6. 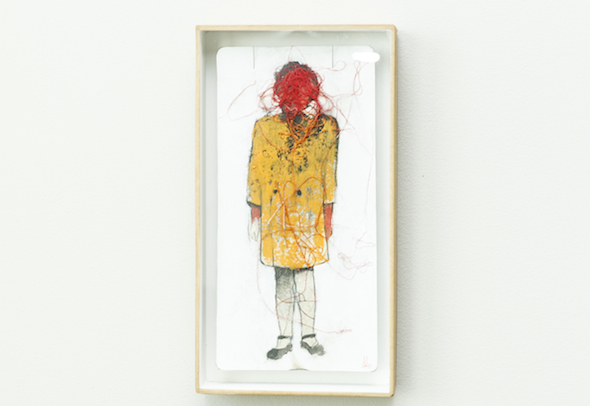 And “don’t give a $*!# what others think!” The only person who has to love the art you buy? You.